Hi everyone, Steph here today sharing some great stamps that are available from the store. It's the start of a new year and time to think about traveling and new destinations! 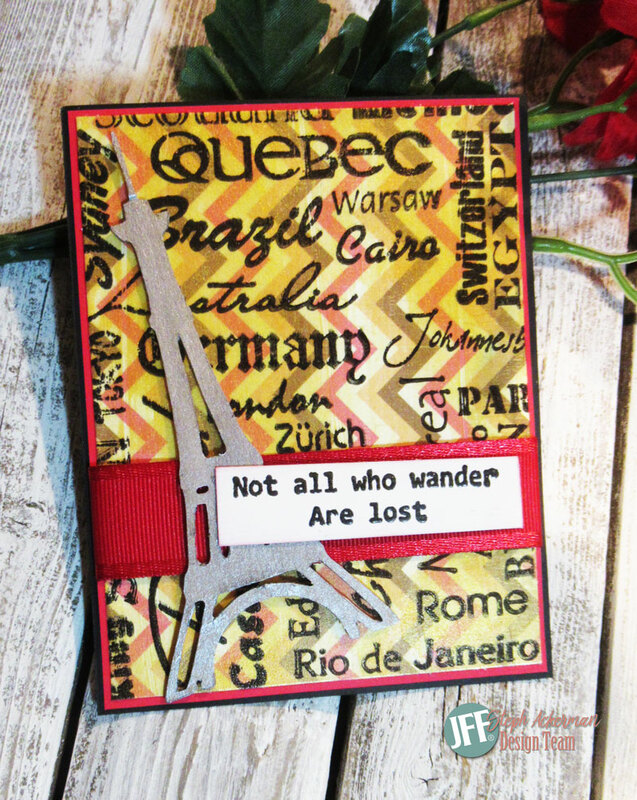 This Destination Background stamp is amazing with the different cities, countries and fonts. At 4 1/2" x 5 1/2", it's perfect for the focal point of your card. Using a pattern paper scrap, I covered it with a light layer of Gold Creative Medium. Once dry, I stamped the Destination Background on top with VersaFine Onyx Black ink. I matted the panel with red cardstock and wrapped red ribbon around the panel before adding it to a black card. I added an Eifel Tower chipboard embellishment atop the ribbon. Not all..... was stamped in Onyx Black ink and placed on top. Have you seen the new fishing stamps that were released earlier this year? I recently received the Father and Child Fishing stamp. I absolutely love this image. It brings back so many memories of times I spent with my dad. I picked up some paint chips a while ago and they have been sitting on my desk, waiting for a purpose. I decided to finally use one for my background. It was layered on white and, because it had a slight coating, Stazon ink was used for the images. The Father and Child Fishing and Water images were placed at the bottom light grey area and the Seagulls Silhouette in the middle medium grey area. I left the paint names on the chip partly due to needing the extra width and partly because I really liked the names. The middle section is called Raven Wing and the bottom is Remember. The sentiment, Treasured Times, was stamped in black and layered on white. This was popped up at the top. A few months ago I started to make a set of cards, got distracted and put the scraps aside for another day. Today is the day because the music themed card stock was perfect for this month's challenge! I used a number of stamps to create this set of cards. 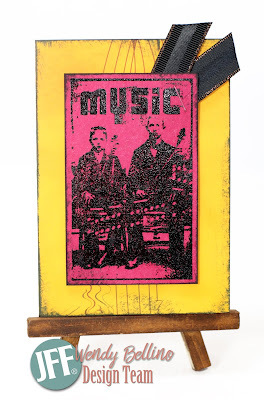 My first card features a vintage stamp image titled Music Men and makes an interesting focal image. 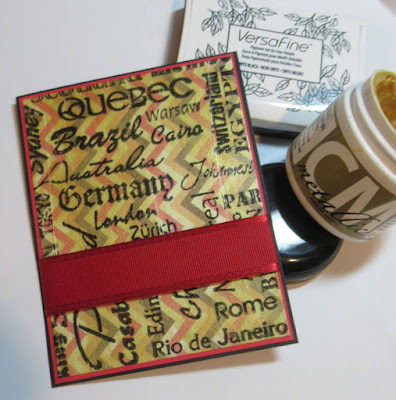 I stamped with black Staz On ink and heat embossed with clear embossing powder. The Record Background stamp makes a fun pattern. 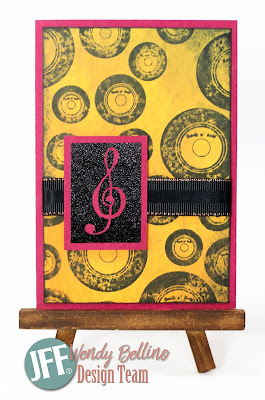 I stamped the Treble Clef in black Staz On as well and heat embossed with clear embossing powder. The small size works great as an accent piece on coordinating card stock with a bit of matching ribbon. 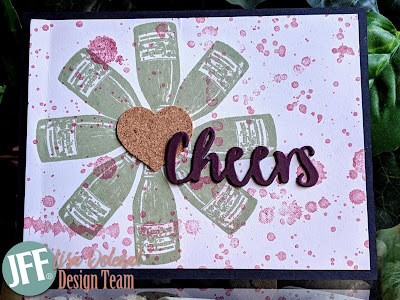 For this last card, I stamped the Record Background on pink card stock and punched out a few images to add as a fun embellishment for the background paper. 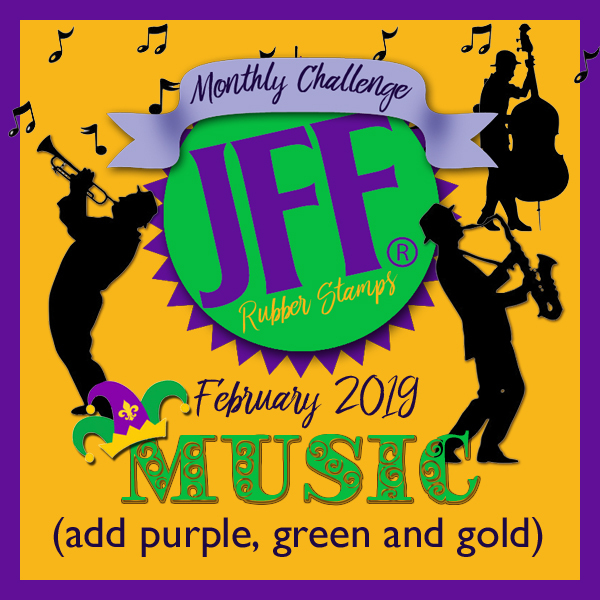 There's still time to join the February challenge! 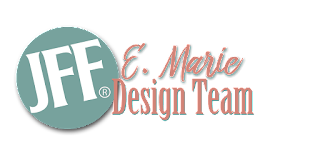 Click HERE to link up your project for a chance to win a gift certificate to shop at JFF Stamps! Just for Fun stamps. Club Scrap papers and cork. Spellbinders die. 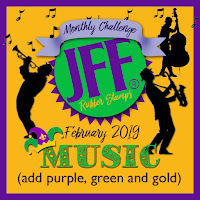 There is still time to join us for the Music Monthly Challenge over at Just for Fun Rubber Stamps. We would love for you to link up your creations for a chance to win a gift certificate to our store. 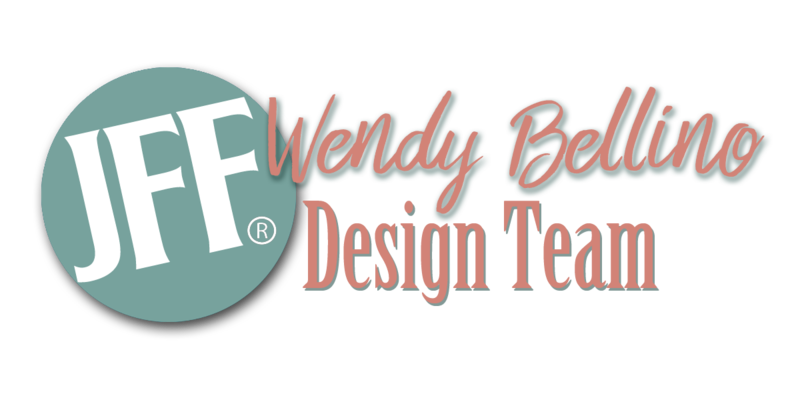 Hello from design team member, Heidi! 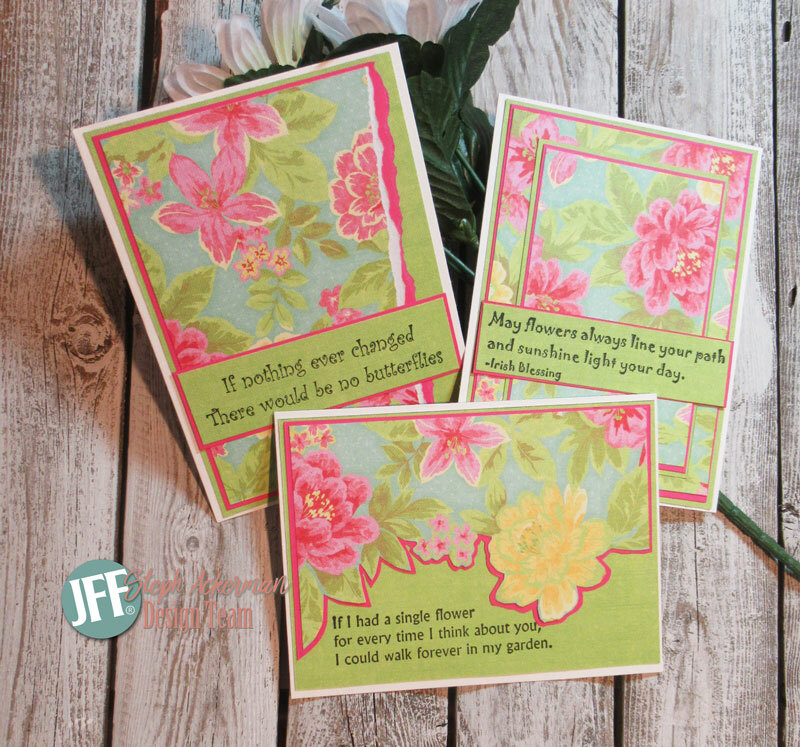 Do you know about Just for Fun’s Faux Postage stamps and stencils? 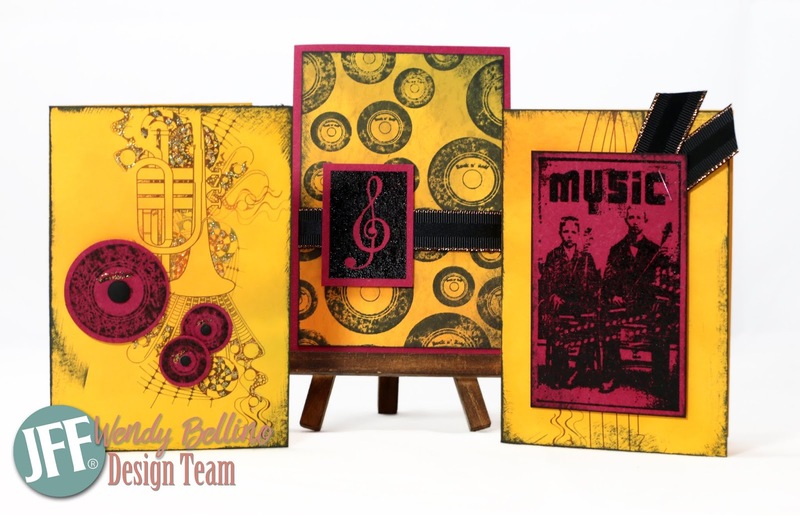 They are made to work together to make some unique stamping projects. I love any kind of tool that helps me do something different with the stamps I already have, and this definitely is fun and different! First, I stamped the grid stamp, then I placed the coordinating stencil over top. I sponged light blue distress ink over the stencil and then, with the stencil still in place, stamped a pine branch all around. The final step for the background was flicking some Perfect Pearls mixed with water over top to add some shine and the idea of snow. I decided to use the grid as a representation of a window reflection, and popped my fussy cut cardinal over top. You can buy the stamps I used on my card today in the JFF store. 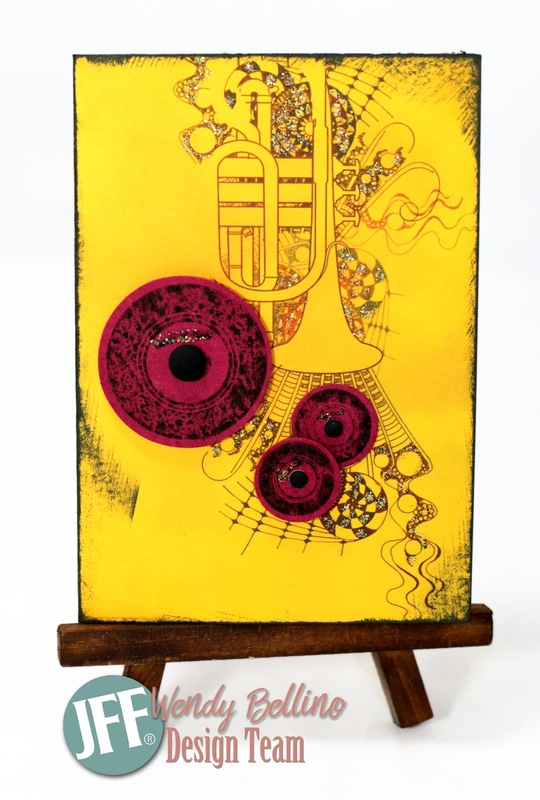 Most are available as Wood Mount, Cling Mount or Unmounted. Just select your choice before you add it to your cart. Hi! It is April here. I love a cup of hot tea in the evenings when it is frosty outside. So I have been enjoying tea quite a bit lately! I made a card using this neat stamp called Stamptangle Tea. The cups were colored using Zig markers. 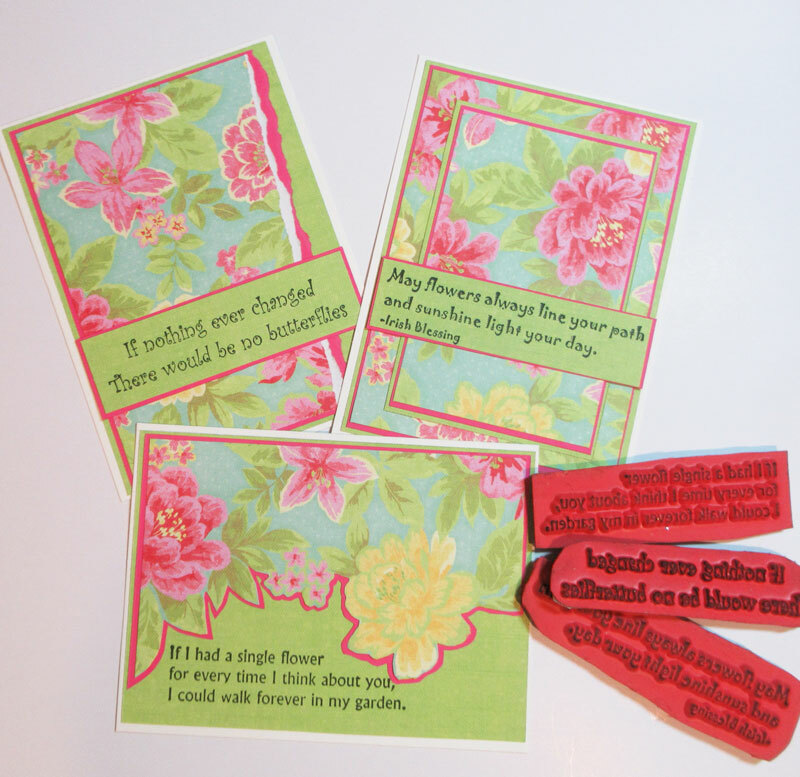 The markers have a very pointed tip and are great for coloring the stamptangle stamps. I fussy cut the stamp, added stickles glitter to the "steam" and pop dotted it to the card. I cut a window using the Grand Madison Window die by Memory Box. I made "snow" by using a Versa Mark pen and adding white glitter embossing powder. 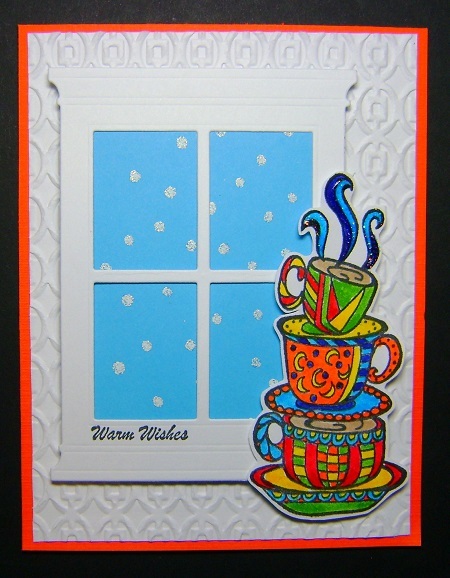 The blue piece was adhered behind the window and also pop dotted to the card. 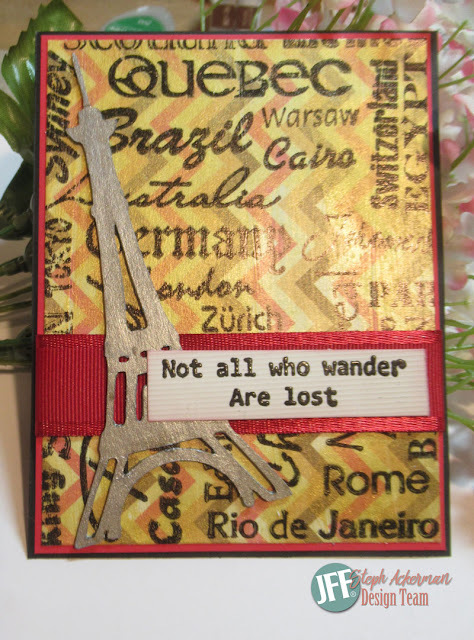 For the background I ran white card stock through a Sizzix embossing folder. The saying is from the Sentiments 2 unmounted sheet. Thanks so much for stopping by. We hope to see your wonderful creations in our challenge this month which is to use green, purple and gold on your card. You might even win a gift certificate to the store! Hi everyone I'm sharing new cards using some great stamps available from the store to create my cards. 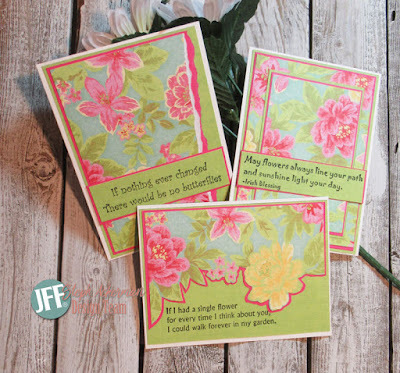 Using one sheet of pattern paper and one sheet of cardstock, I created 3 different floral cards. 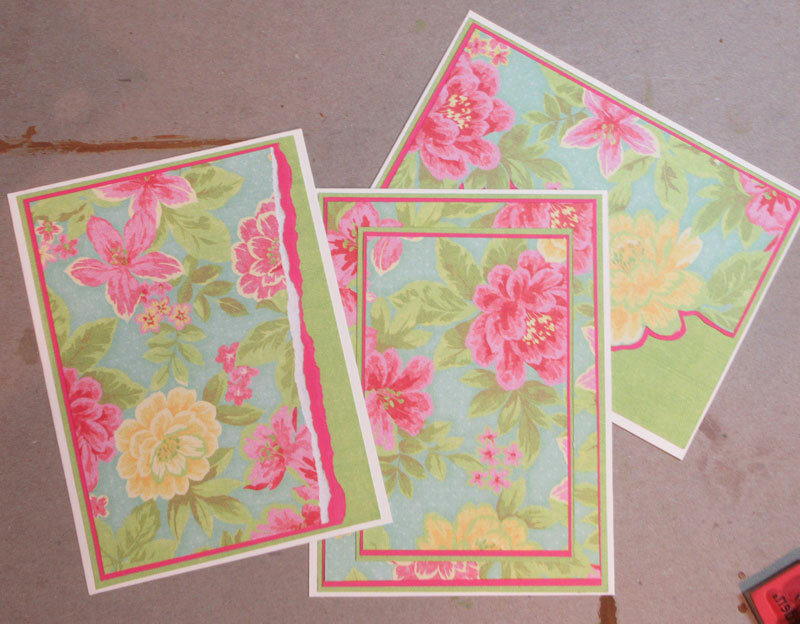 The floral paper is double sided with solid green on the reverse side. To pick up the pink tones, I used a hot pink cardstock. While they use the same papers, each card is very different. Hi! It is April here showing another Valentine card. 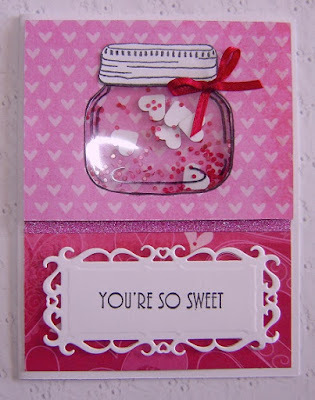 This little jar stamp is great for making a shaker card! I used punched hearts and little red beads inside the shaker. The saying was stamped on a Spellbinders die and pop dotted to the card. Thanks so much for stopping by. I hope you have a very Happy Valentine's Day!